Not sure when I have got infected with Hep C. I didn’t even knew that I have Hep C for a good while. Then, not so long ago I have been told by my doc that I have it and that I need to do something about it. he recommended sofosbuvir so that’s how I have got this medicine about one month ago. today I went back from the hospital where the doc checked my levels and told me that the VL is 0 so I assume that I’m done with Hep C. and yeah, I have also started to feel better and to get some good results for a while now so I kinda knew that the drug is working by the way I am feeling while being on it. the best part is that I am feeling better and better with each day that passes that is why I think that in half an year I would be much more better than I am now. or at least I hope so. No side effects whatsoever. Besides the fact that I feel better on the drug – nothing at all. no tiredness, no aches or anything in this matter. I feel just fine. 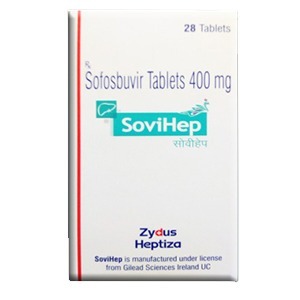 I am using SoviHep for my Hep C and my doctor told me that I need to take it along with Olysio drug. I am eating 1 pills of each one of them per day. I am still taking this combination although the virus is no more detected in my blood work. I am having little to no side effects at all that is why I assume that it is all fine to take it with no worries. This combination has helped me to wipe out the viral load to 0 in one single month so it helps. taking in consideration the side effects, how it helps, etc. etc. from my personal experience I can recommend it to everyone who searches for a treatment for Hepatitis C.